Happy New Year! Are you still getting used to writing “11” instead of “10” on everything? Plus, I think I may have left my brain in December because I am having trouble writing “01” instead of “12.” Ready or not, the New Year has arrived! Are you prepared to take it by storm? A lot of entrepreneurs spend the last few months of a year planning for the year to come. The greatest part of any plan is its flexibility. You can’t possibly envision everything in advance, but it’s certainly nice to have guidelines to go by. The posts that have recently caught my interests are the “must do’s” and “top tip’s” for 2011. This weekly wrap up was designed to share the blogs, websites and/or businesswomen that I found particularly helpful this week. My top blog picks this week center around the best advice for 2011. Enjoy! In this great article from Entrepreneur Magazine (@EntMagazine), you will find 10 tips on how best to start or enhance your business in light of the current economy. The mix of common sense safe bets, and innovative strategies might just be the perfect combination for your business plan in 2011. Take a look and decide what might work for you. From self-made millionaire, Ali Brown (@AliBrownLA), come her 4 top tips on improving your social media campaign in the New Year. From how to most effectively engage your followers, to incorporating videos, Ali offers some food for thought to get you moving in the right direction. I really enjoyed this post from Lisa Barone (@LisaBarone) of Outspoken Media (@outspokenmedia). The title drew my attention, because honestly, I’m just not ready for my business to die, so I read further. Do take note of Lisa’s 4, very thorough tips on keeping up with the changes in the local search game. If this article applies to my business, then I am already behind, but I still don’t understand how “places,” whether through Facebook, Twitter, Google or FourSquare benefits a virtual business model. Perhaps someone can explain that one to me. This week I’d like to feature another social media maven, Lauren MacEwen, Founder of SM Cubed Consulting — a great resource for social media strategy. What I enjoy so much about Lauren’s approach, is that she makes social media approachable. This is highly valuable, especially for the business owners who are still feeling nervous about adding social media to their plan. If you don’t want to handle the task alone, SM Cubed Consulting has plans to fit every budget. Rather than missing another year of benefits from social media exposure, get the help you need and get started. 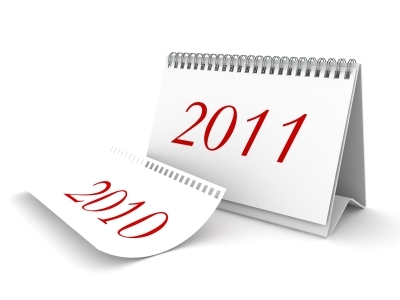 And don’t miss Lauren’s recent post on 5 Ways to Prepare for 2011. To find our more, follow Lauren on Twitter @SMCubed. This week I am proud to present our Woman of Excellence award to Ann Evanston, Founder of Warrior-Preneur. Nicknamed Zena with a “Z,” because she is “all Warrior and very little princess,” Ann teaches women how to harness their inner warrior and leverage that power in business. In her latest post, Anne shares three smart tips on how business bloggers can find inspiration and keep the ideas flowing. I have thoroughly enjoyed following Ann over the past couple of months and find her approach with women inspiring and right up my alley. Ann is a powerful role model for women in business, and takes her leadership position of warrior seriously, right down to her sword. Are you ready to discover your inner warrior? To find out more about Ann, you can find her on Twitter @AnnEvanston. That wraps up this post. I hope you enjoyed my picks for the week. Until next week, keep reading, keep learning, keep growing! This entry was written by Dr. Shannon Reece, posted on January 7, 2011 at 8:30 am, filed under Weekly Wrap Up and tagged business tips, businesswoman, entrepreneur, startups, strategies for women, weekly wrap up. Bookmark the permalink. Follow any comments here with the RSS feed for this post. Post a comment or leave a trackback: Trackback URL. Thanks for some great tips. For some reason, I’ve found it easier this year to transition to the new year and have not written 10 once! I want to echo your thoughts on Ann Evanston. Not only is she a warrior, she is a giver and supporter of those she works with. I know because I’ve worked with her for several years. She gives freely of her time and knowledge and she is well worth following.